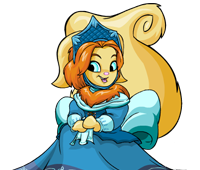 There are many different faeries around Neopia, ranging from the six basic elemental faeries to the extra special unique faeries like Fyora and Taelia. Faeries are more complicated than Neopets or Petpets to draw, so you may find them harder to get right the first time. With a little practice, though, you will soon be drawing them with ease. Click on the faerie you wish to draw.